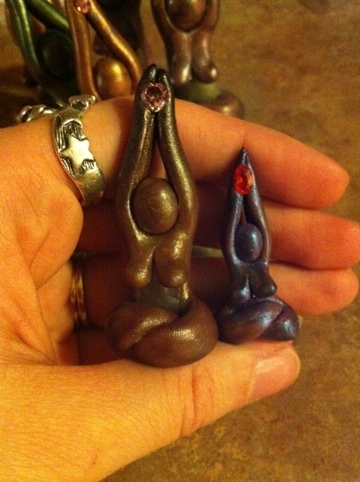 Just a picture post then to show my two most recent experiments in polymer clay birth goddess pendant making. The larger one is my favorite so far. 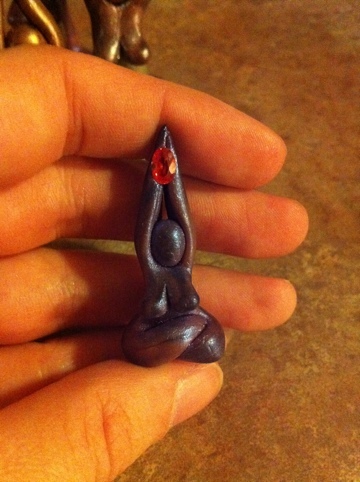 She has a moonstone belly and is holding a heart shaped crystal. Tried to get a picture of me wearing them, but it didn’t really turn out (and, my, what an attractive shirt I wearing in which to model them. 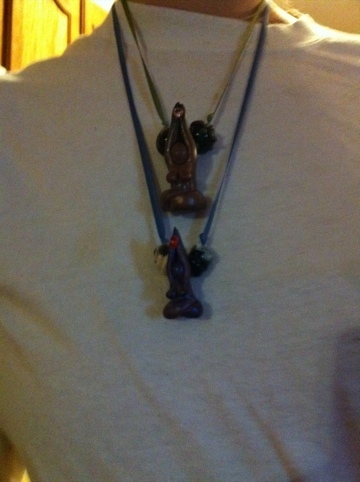 Love the flattering neckline with the pendants). I really love making these sculptures and have plans for more on that aforementioned break as well!